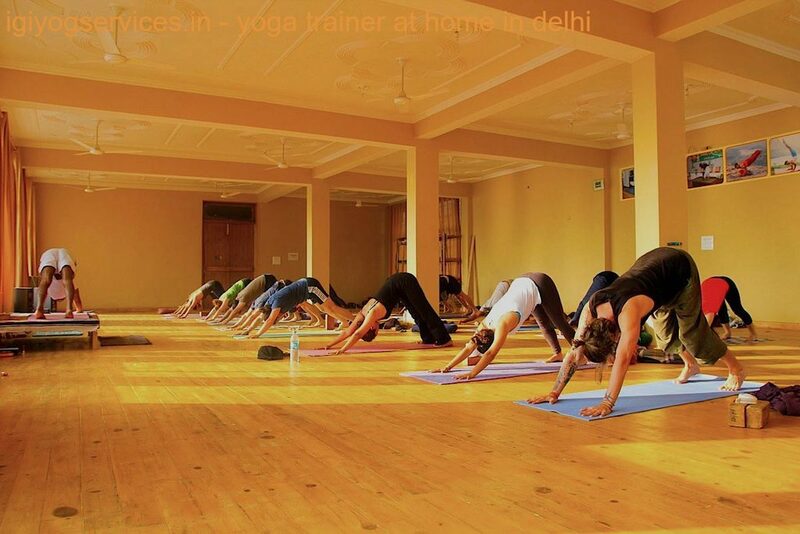 15 Yoga Asanas For PCOS/PCOD | Personal Yoga Trainer Classes At Home | Yoga Trainer At Home For PCOS/PCOD | Yoga At Home For PCOS/PCOD | Yoga Classes At Home For PCOS/PCOD | Personal Yoga Teacher In Delhi For PCOS/PCOD | Home Yoga Teacher In Janak Puri, delhi cantt, rajouri garden, kirti nagar, shiv nagar, vikaspuri, uttam nagar, hari nagar, naraina | Personal Yoga Trainer At Home | Home Yoga Instructor For PCOS/PCOD | Power Yoga Trainer | Home Yoga Trainer | Home Yoga Classes At West Delhi | Home Yoga Classes At East Delhi | Home Yoga Classes At North Delhi | Home Yoga Classes At pitampura | Personal Yoga Trainer At Home in Rohini | Power Yoga At Home in in Inderpuri | Home Yoga classes in R K Puram | Power Yoga Classes For Ladies At Home | Meditation Classes At Home | Yoga Classes At Home For Women in Model Town, in darerwal nagar | Power Yoga Classes At Home in East Of Kailash | Yoga Classes For Diabetes At Home | Yoga Classes For Asthma At Home | Yoga Classes For Heart Problem At Home | Power Yoga For Womens At Home | Yoga Classes At Home For Men | Home Yoga Trainer For Weight Loss in west punjabi bagh| Female Yoga Trainer At Home in old/new Rajender Nagar |Female Yoga Teacher At Home in karol bagh | Yoga Classes At Home For Female in patel nagar | Female Yoga Trainer In Delhi | Female Yoga Teacher In Delhi | Yoga For Kids | Yoga For Children | yoga at home new delhi, delhi | yoga teacher in delhi for home visit | yoga instructor in south delhi, south extension, malviya nagar, Hauz Khas, greater kailash, new friens colony, Vasant Kunj, Vasant vihar, safdarjung enclave, Lajpat Nagar, Shastri Nagar, kalkaji, green park | yoga classes in delhi | home yoga classes in vaishali | yoga classes in south delhi | home yoga classes in Vasundhara Enclave | yoga classes in north delhi | yoga trainer in gurgaon | power yoga in gurgaon | Yoga trainer at doorstep in noida | yoga teacher at doorstep in faridabad | Power Yoga Trainer For Females in GK-1/GK-2 | Home Yoga Trainer At West Delhi | Home Yoga Trainer At East Delhi | Home Yoga Trainer At North Delhi | Yoga Trainer At Home In South Delhi | Meditation Yoga Trainer At Home in krishna nagar | yoga teachers | yoga instructor | Pranayama | Breathing and relaxation techniques | Meditation for stress management | Power yoga classes | yoga for weight loss | yoga for general fitness." To know trainers near by your location click here -- "Yoga Trainer Near Me"
Polycystic ovary syndrome (PCOS/PCOD) is a hormonal disorder common among women of reproductive age. PCOS/PCOD is an hormonal disorder causing enlarged ovaries with small cysts on the outer edges. Women with PCOS/PCOD may have infrequent or prolonged menstrual periods or excess male hormone (androgen) levels. The ovaries may develop numerous small collections of fluid (follicles) and fail to regularly release eggs. 1. Avoid coffee and alcohol. 5. Avoid milk and milk products. 7. Practise yoga for PCOS/PCOD recovery. Yoga plays important role in the prevention and management of polycystic ovarian syndrome. Yoga is one of the important refreshing and rejuvenating modalities which can contend and even root out stress completely. 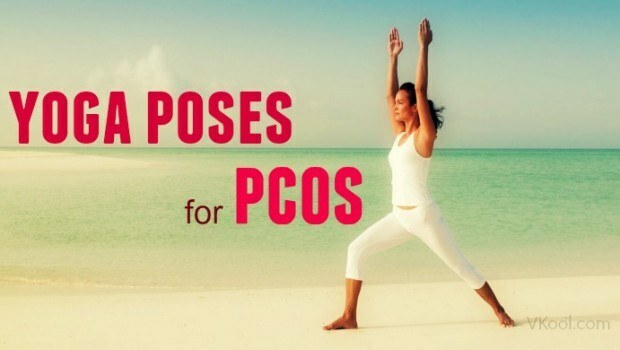 Since stress is playing important factor in exaggerating PCOS/PCOD, so yoga therapy is effective in PCOS/PCOD. Yoga poses such as asanas, relaxation exercises, pranayama and meditation are effective as stress buster. 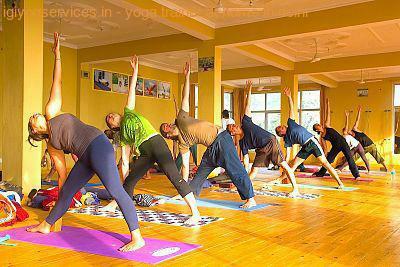 Yoga poses like asanas help to stretch the pelvic area and pranayama as well as meditation soothe the mind. Yoga helps to regulate the endocrine glands in the body thereby beneficial in balancing of hormones. Yoga is effective in keeping your ovary and uterus hetitle="yoga-trainer-at-home-for-pcos" ALThy along with solve the issues such as infertility, weight gain and psychological problems. There are many yoga postures, which are good for PCOD. Some of the important Yoga postures are given below. Nadisodhan Pranayama is also called Anulom Vilom, which helps to soothe your mind refresh your brain nerves thereby helpful in de-stressing the body. It brings peace and comfort to your body thus cure PCOS/PCOD naturally. It is the only pranayamas which control all the negative domains such as stress, strain, anxiety, tension, depression, etc. So, it is helpful in contending your mood swings. will help to stabilizing your mind and acts like as mood elevator and facilitates calming effect. Meditation brings harmony within the body, mind and emotions to control PCOD naturally. This is an effective asana for those who are experiencing PCOD. Butterfly should be practiced coolly and calmly. It helps to open up the pelvic area and promote relaxation. It beats stress and relieve menstrual discomfort. The twelve Yoga poses in the Sun Salutation is good to enhance flexibility in the body as well as effective in controlling hormonal imbalance. Surya Namaskar is also helpful in controlling of weight. Sun Salutation helps to de-toxify and de-stress the entire system. Cobra pose exerts pressure on the stomach and helps to stimulate ovarian function. It has many advantages like improves digestion, bust stress, good for chest, lungs, and shoulder. Naukasana is good in case of PCOS/PCOD as the boat pose put excess pressure on the abdominal region. helps to modify the endocrine glandular function thus enhances the efficiency of hormonal secretion. helps to stretch the pelvic region and good to control hormonal imbalance. For any queries or Yoga Trainer booking feel free to call us! Team IGIYS works authentically and with creative work for their yoga clients in order to provide them best possible health solutions. Team IGIYS give weightage to high-level quality yoga training and keep checks at all phases of the tenure delivering the best quality and result oriented yoga classes at home. Our commitment to our clients for all our yoga classes at home, results to be delivered on or before time, marking us as the best. Our team works towards providing the client with 24*7 support system at every phase of their yoga training around a day and year. Our mission is to achieve 100% client satisfaction by providing them a unique yoga training to their expectation.